Situated on the beach and the fishing harbor in Sopot, Villa Baltica offers guests a pleasant stay in a warm, family atmosphere. Every guest is treated individually here. Guests will find a high standard of service, comfortable accommodation and excellent gastronomy. Villa Sedan , from a Latin word sedatus, means a quiet and peaceful place - and this is the atmosphere of our hotel, where a Guest can find respite and relaxation. 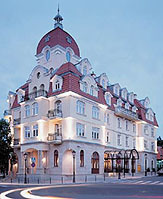 The Villa Sedan is situated right in the heart of Sopot, a short walking distance from the beach, the Pier and the promenade with all its attractions. There is also a water park - Aqua Park and indoor and outdoor tennis courts in the area. 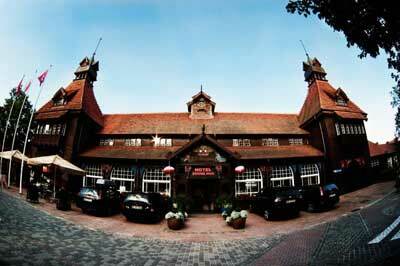 Amber Hotel is situated 10 meters from the beach, by the sea, 800 meters from the Sopot Pier and street Monte Cassino. 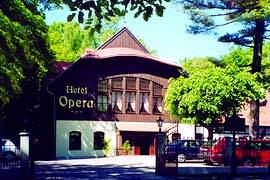 Hotel otowczony is a large area where guests can relax and enjoy sports.